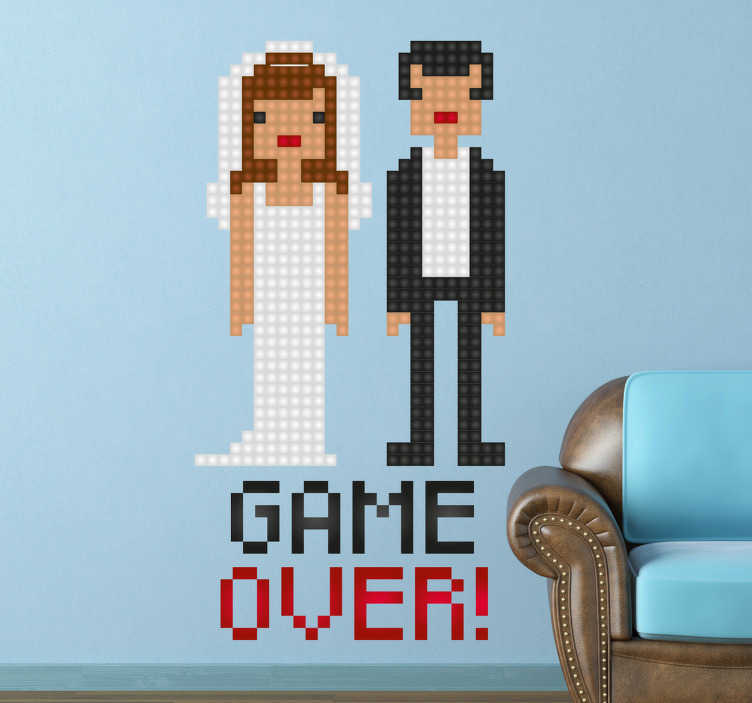 A wall sticker of a married couple with the text “Game Over” written underneath the newlyweds. The sticker signifies the single life is over. The sticker consists of a woman in a wedding dress and a man in a suit, designed in a pixel style!